Before the Western Conference Semifinals series between the Houston Rockets and San Antonio Spurs started, most expected the more well-rounded Spurs not to have much trouble. San Antonio simply has a more well-rounded team. But sometimes a quality, well-rounded team can be bested if they don’t make enough baskets and the other shoots lights out–which is pretty much what happened Monday night. Houston has lived and died by the three all season long. Monday night they lived by the three while San Antonio’s hopes of a Game One win died. 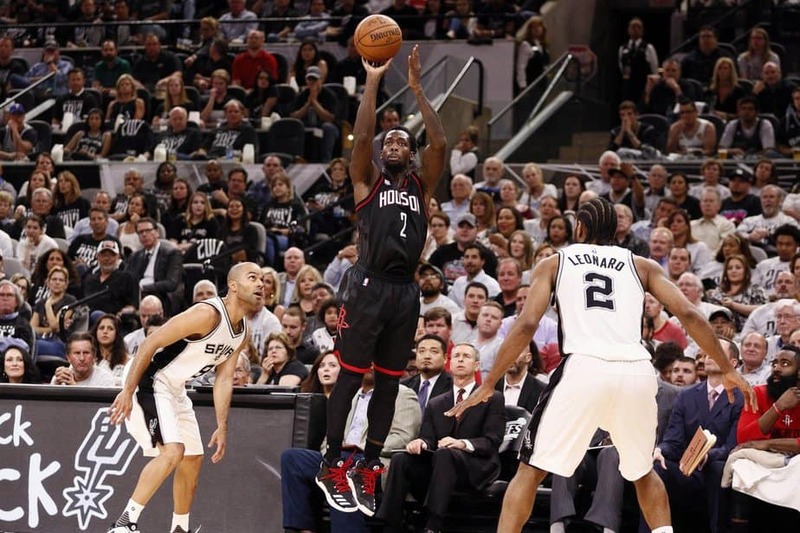 The Rockets rained three-point shots down on the Spurs (50) and made a franchise playoff record (22) enroot to an easy 126-99 win in San Antonio. No team has ever attempted or made as many three-pointers against San Antonio in a playoff game. Trevor Ariza led the way for the Rockets with 23 points (5-10 from three-point range) followed by James Harden and Clint Capela with 20 points. Six Rockets ended up scoring in double figures. The Rockets led by 11-points after the first quarter and extended the lead to 30-points, 69-39, by halftime. While Houston’s offense has had that kind of potential all season, the defense was an added surprise. San Antonio was shot 36.9 percent from the floor and 31 percent from three-point range for the game. The Spurs made the second half more competitive, but they couldn’t make much of a dent in the massive hole they dug in the first half. After leaning on Kawhi Leonard throughout the series against the Grizzlies, he couldn’t rescue the Spurs by himself. He ended the night with a double-double, but with only 21 points to go with 11 rebounds. The rest of the starters chipped in just 27 points and 19 rebounds. Harden’s supporting cast was much more helpful. They combined to score 64 points and were 11-25 from three-point range. Houston made postseason history with the second largest margin of victory by the road team in a series opener (27-points). It was also the largest Game One loss for the Spurs under Gregg Popovich and the biggest playoff loss by the Spurs at home in franchise history. 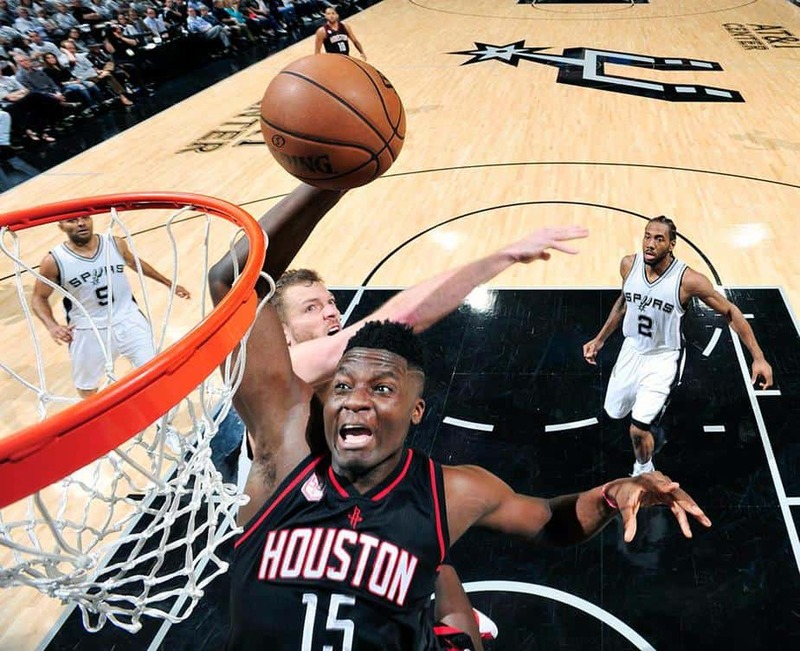 If the Spurs want to avoid another embarrassing defeat at the hands of the Rockets, they are going to need to remember how to play their game. San Antonio’s success over the last couple of decades has been because the team doesn’t count on any one player to win the game. Every player on the court contributes. But this postseason, they have been leaning heavily on Kawhi Leonard—and he can’t do it all by himself. LaMarcus Aldridge needs to earn his paycheck. It would help if Tony Parker or Manu Ginobili could find some more of that old magic as well. Danny Green can’t go 2-9 from three-point range either. Last season the Spurs rolled through the regular season and the Grizzlies in the first round. But then they came up against a younger, faster, more athletic Oklahoma City Thunder team—and lost the series in six games. This year they are once again facing a younger, faster, and more athletic team but with an aging roster that is a little bit older than it was last season. Don’t be shocked if Houston wins the series in five.